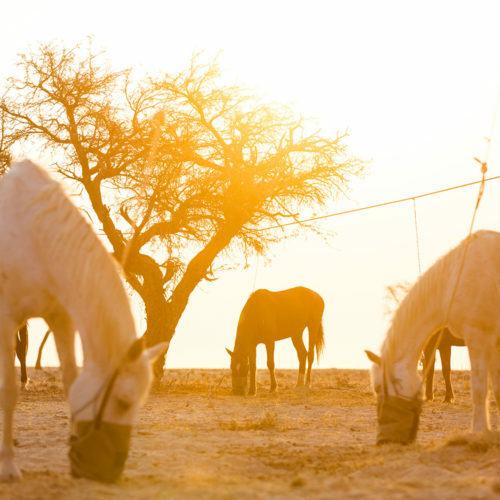 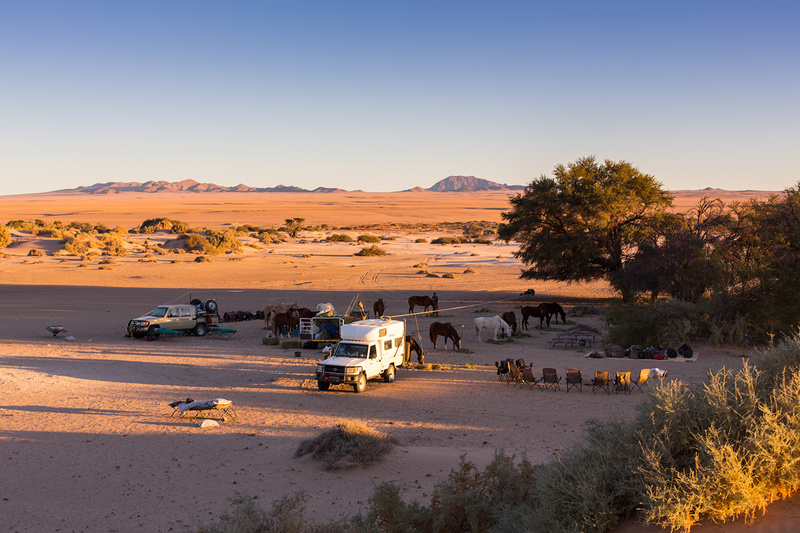 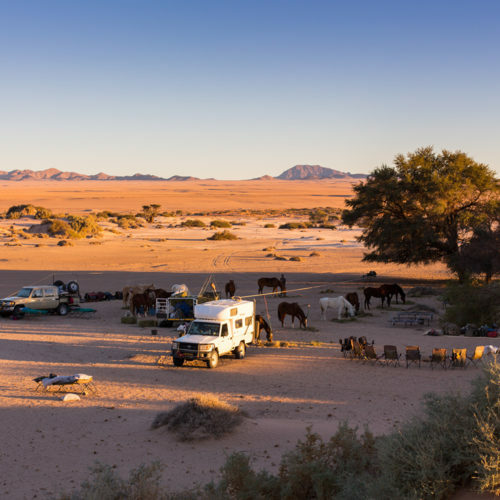 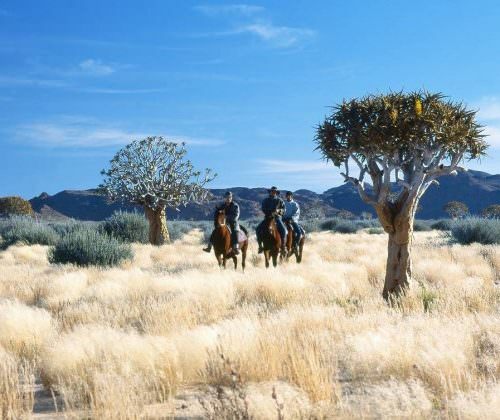 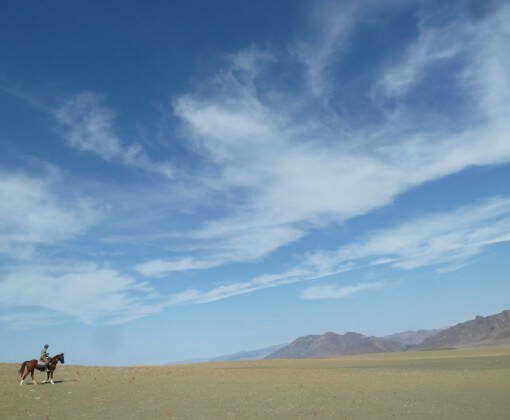 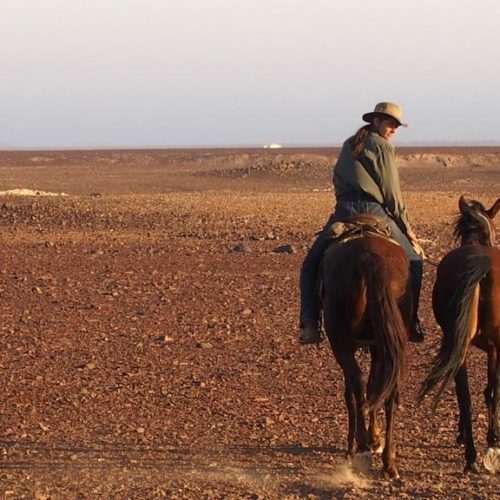 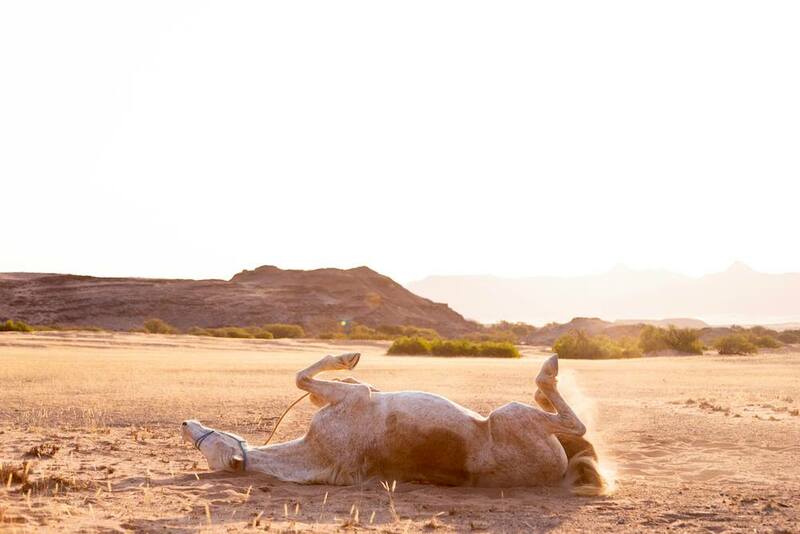 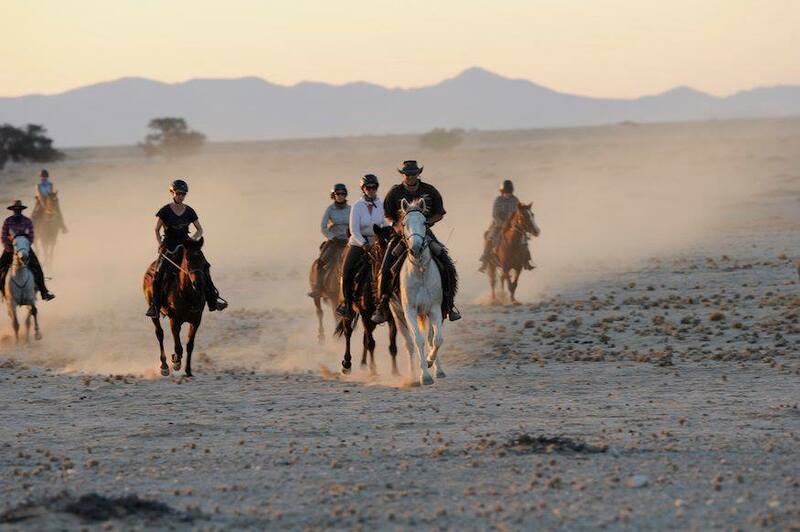 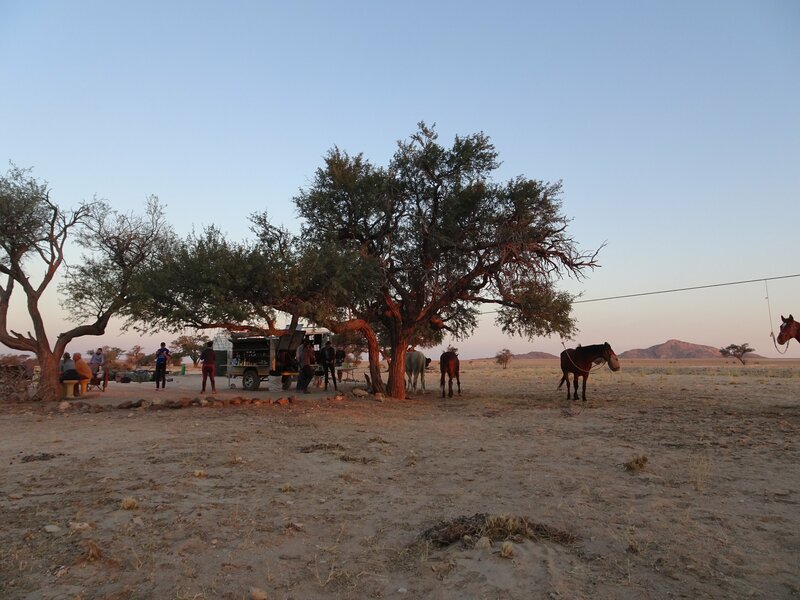 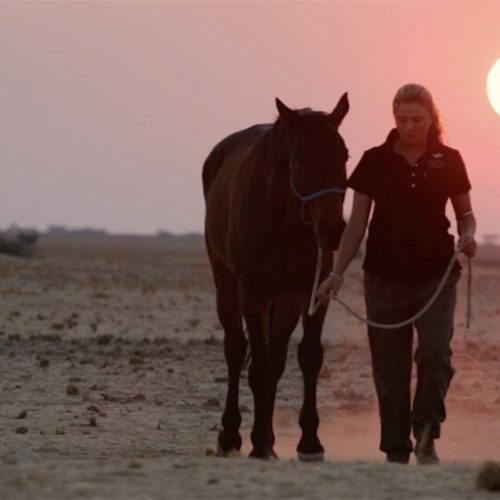 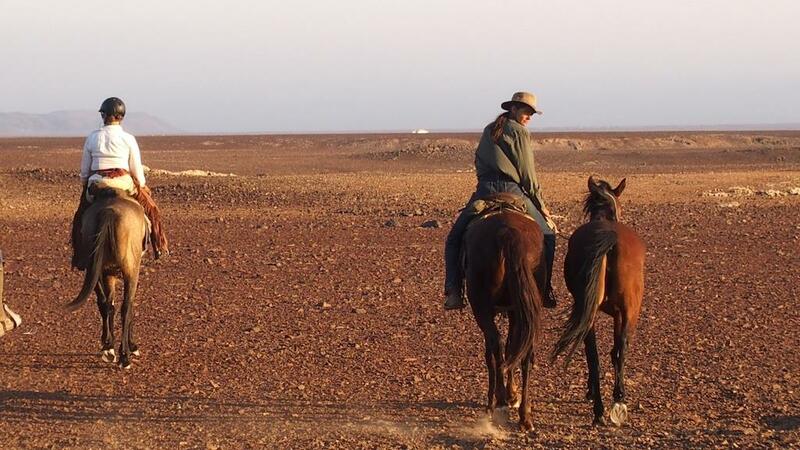 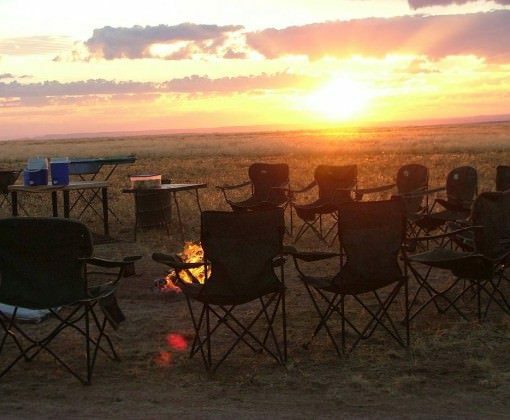 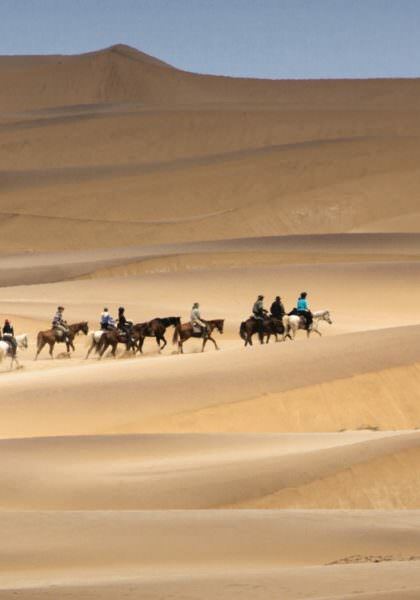 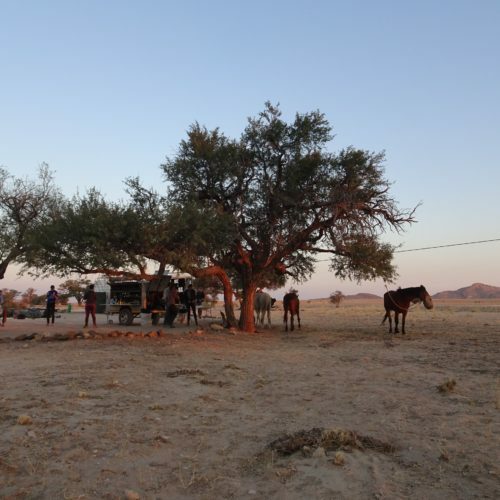 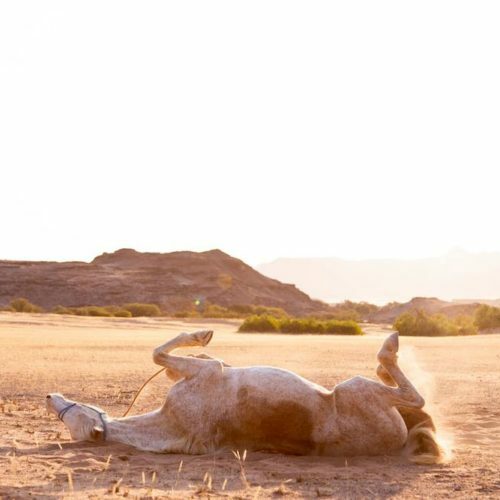 A ten night adventure in the south of Namibia, where you can experience wide open spaces and limitless riding. 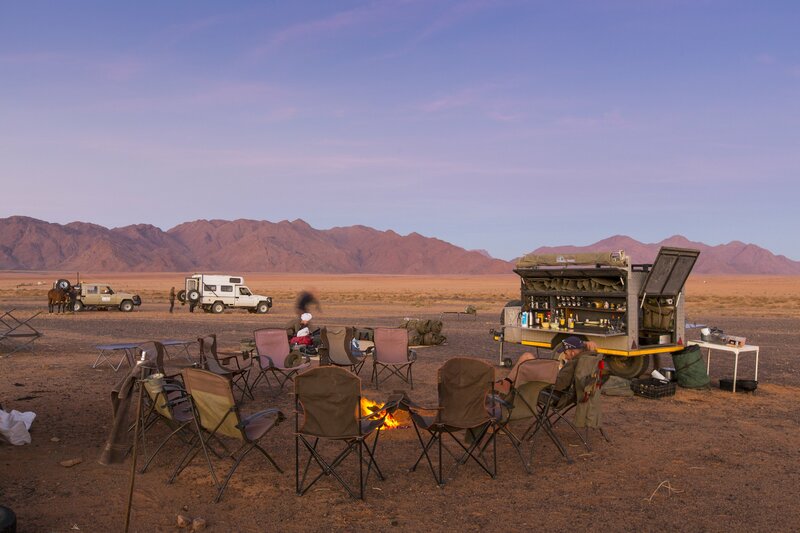 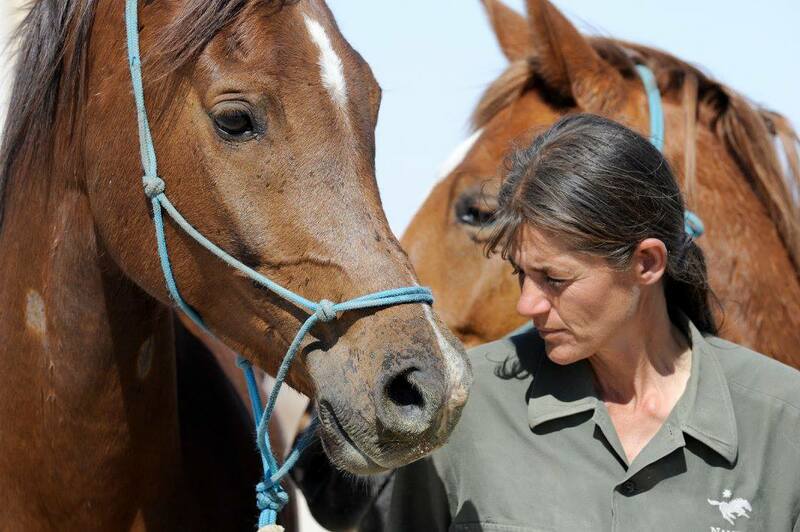 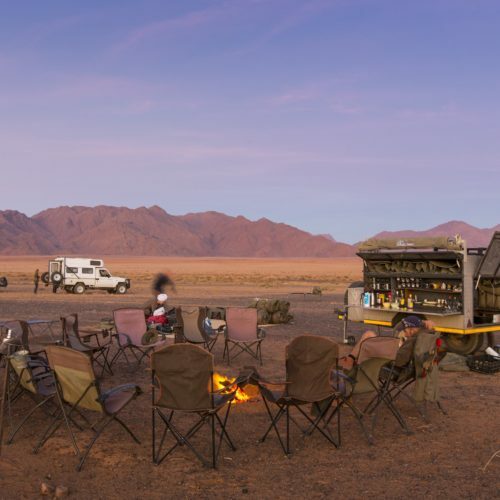 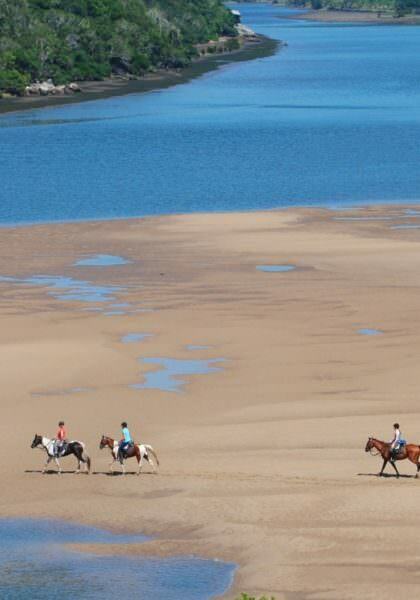 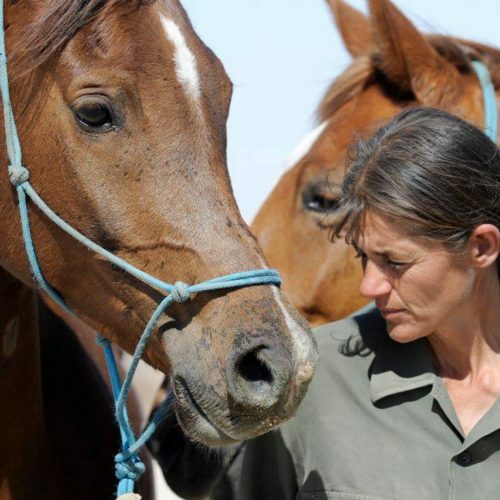 You ride through landscapes characterised by rocky canyons, desert plains and the Orange River. 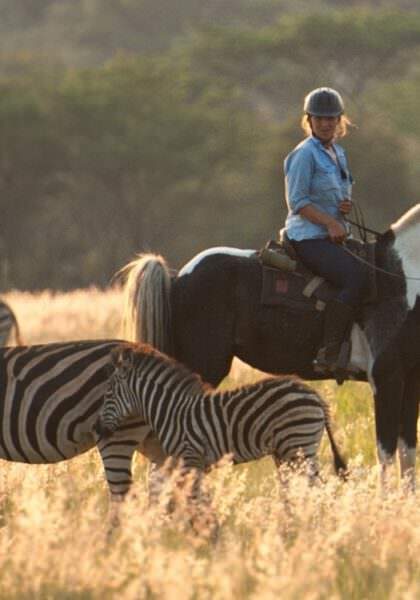 You might spot plains game like zebra and oryx along the way. 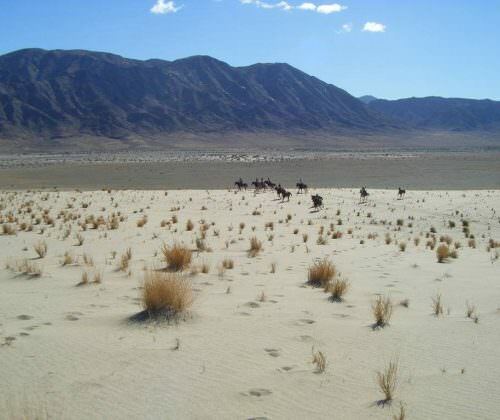 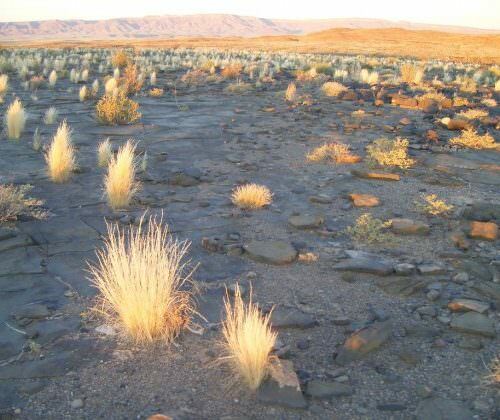 The terrain varies from rocky hills, to dry riverbeds and open gravel plains. 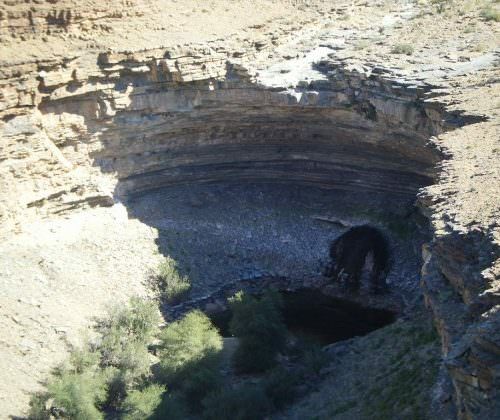 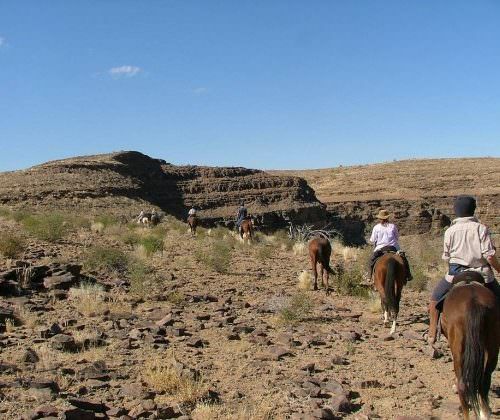 The riding route begins in the upper Fish River Canyon, from here you follow the course of the Gaap River and traverse several small canyons. 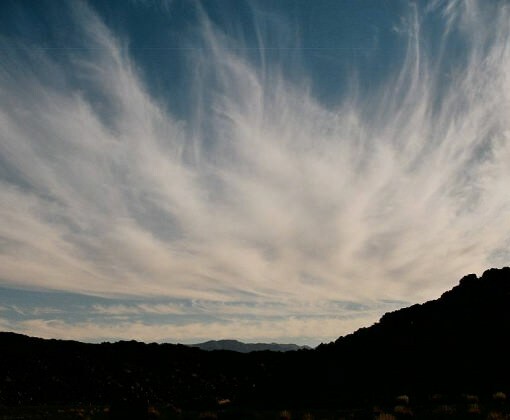 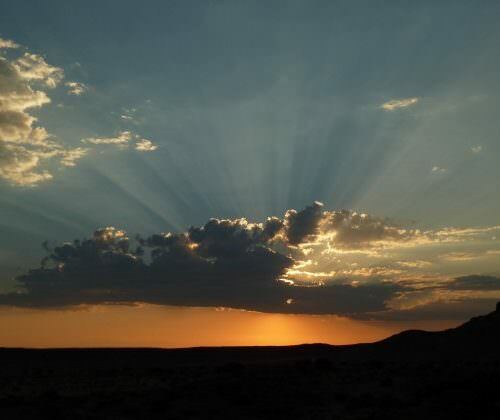 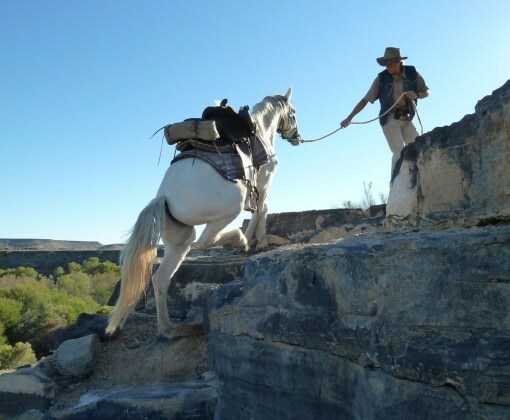 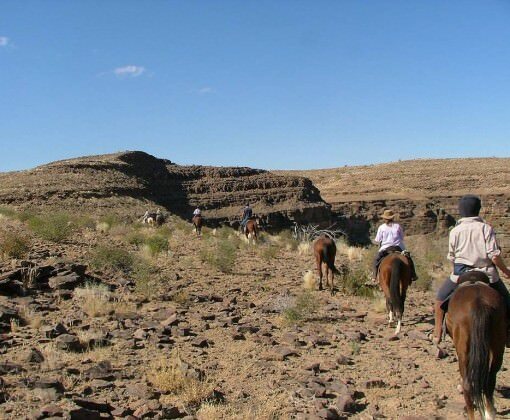 Visit a viewpoint of the Fish River Canyon (on foot), and then continue riding out onto the Nama Karoo plains. 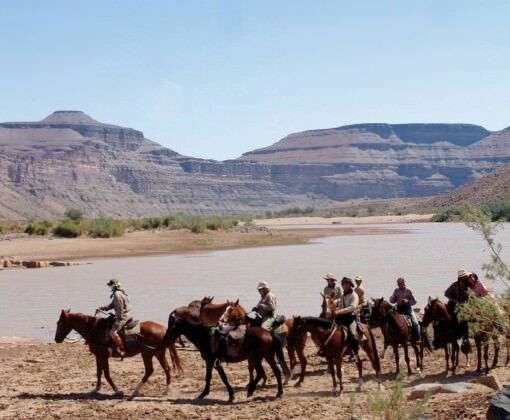 The ride finishes on the banks of the Orange River. 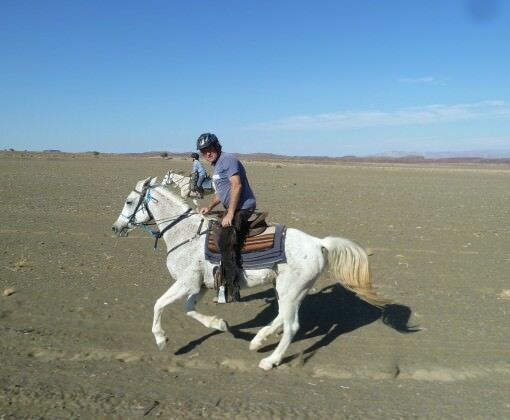 The horses are fit and tough. 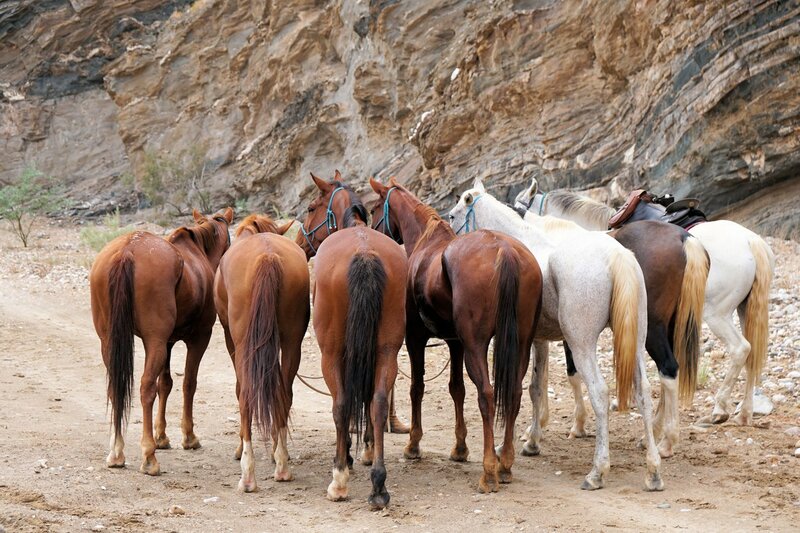 They range in height from 14.2hh to around 16hh. 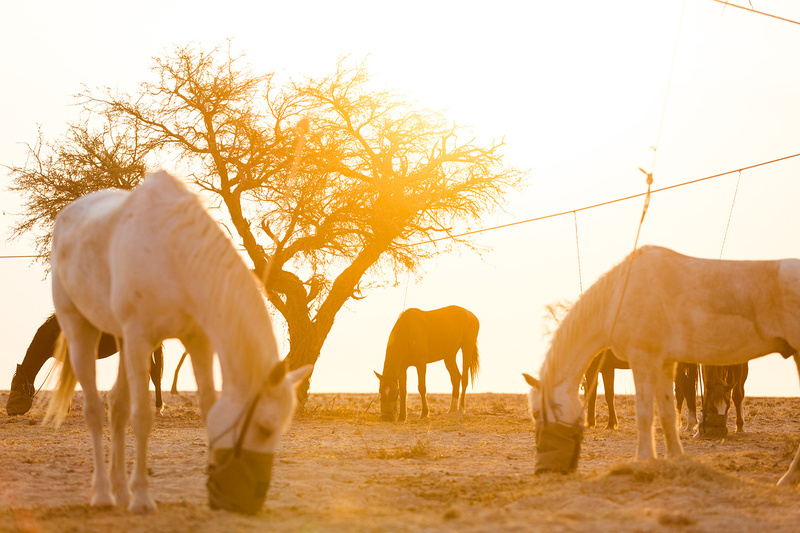 Selected for their attributes rather than their breeding, they are a mixture of Arab crosses, Namibian warmbloods, Trakehners and Boerperds. 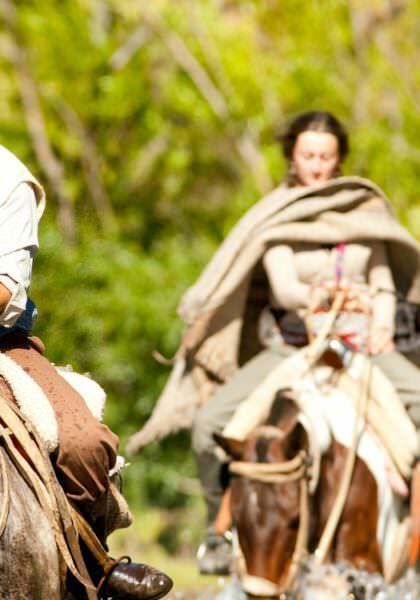 All the horses are forward-going, so don't ask for a spirited horse unless you are skilled at handling a sensitive horse at speed. 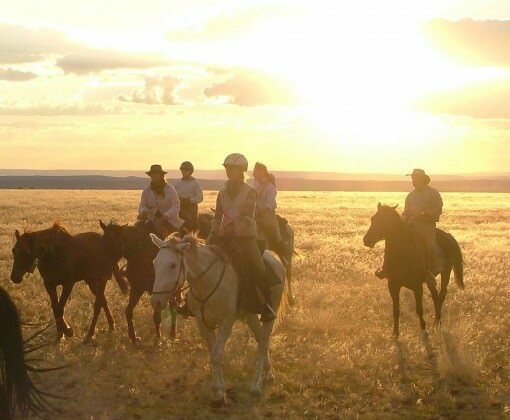 This ride features a mixture of lodge accommodation and camping. SINGLE SUPPLEMENT No single supplement if you are prepared to share, otherwise £180.00 (£190.00 in 2020) to guarantee your own room in lodges. 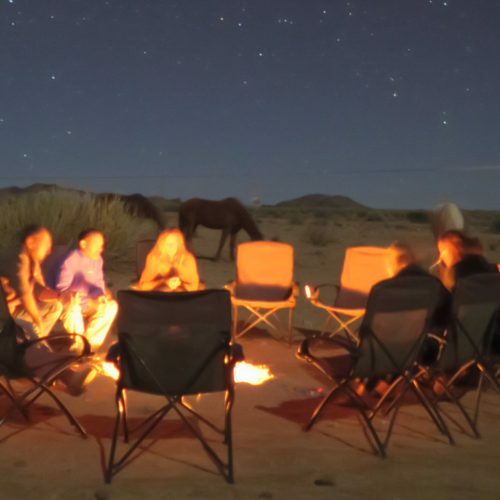 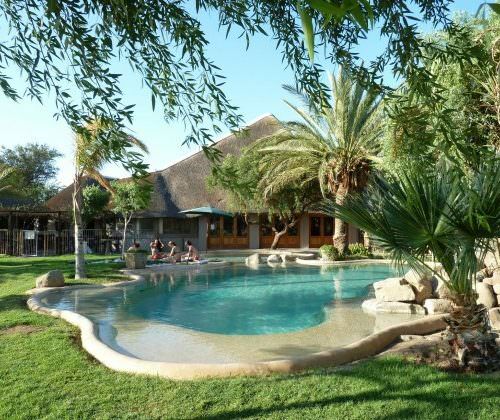 NEAREST AIRPORT Cape Town for arrival and departure. 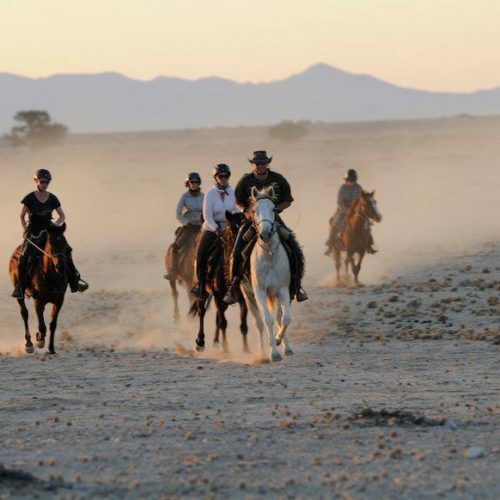 TRANSFERS Transfers from Cape Town airport on first day, to the start of the ride on the second day and back to Cape Town on last day cost £365.00 (£390.00 in 2020) per person. 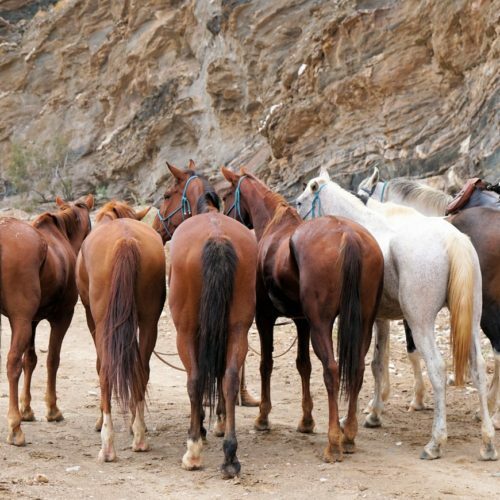 These are non-optional transfers and are not refundable. 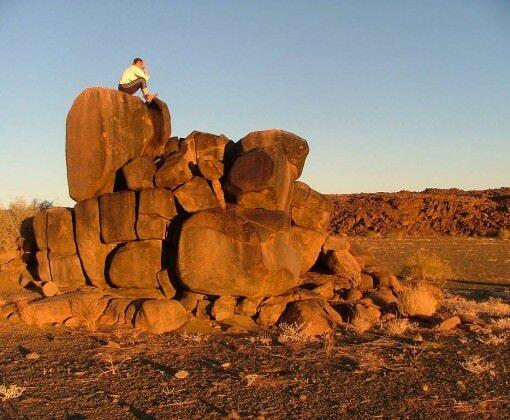 In the Southern Namib, close to the border of South Africa. 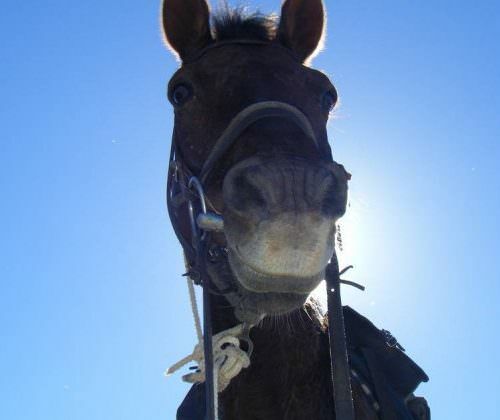 I rode one of the best horses that I have ever ridden - wanted to pack him in my suitcase. 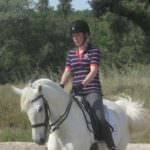 The knowledge of the guides (especially Melinda) about the individual horses and their characters and how to ride them was very useful, and nice to see. 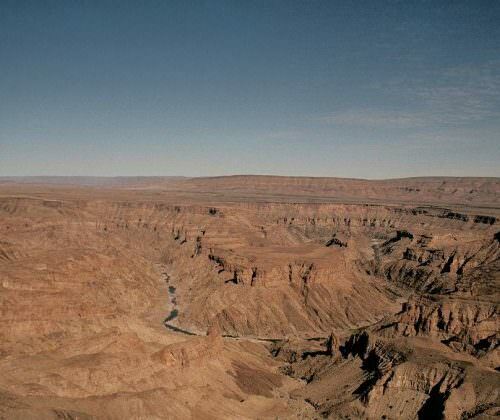 An exciting journey from the northern reaches of the Fish River Canyon area, to the Orange River. 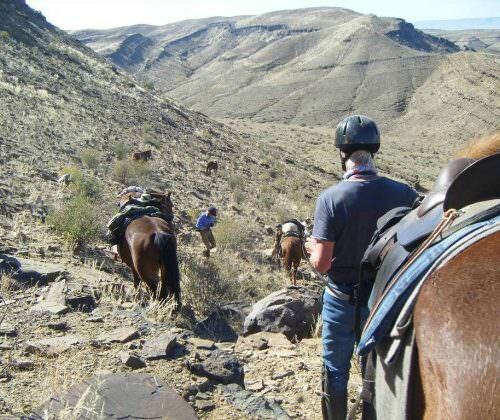 Experience wide open plains, meandering gorges and dramatic escarpments. 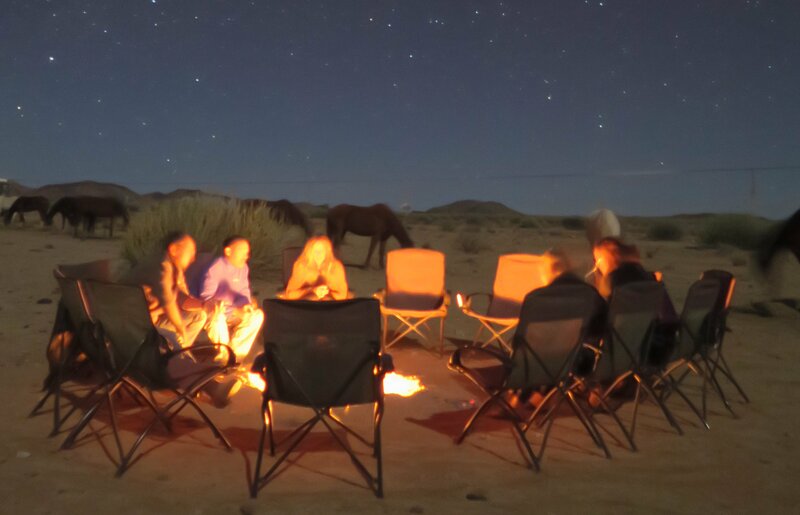 Nights in the canyon can be pretty chilly, so take plenty of layers if you feel the cold.